Nobel Prize winning economist Eric Maskin on privatization of the radio spectrum, history of the field, and decision making mistakes. 0:06 A proposition (e.g. "All Greeks are men.") consists of a subject ("Greeks") and a predicate ("men"). Particular negative ("Some Greeks are not men", abbreviated "sGnM"). 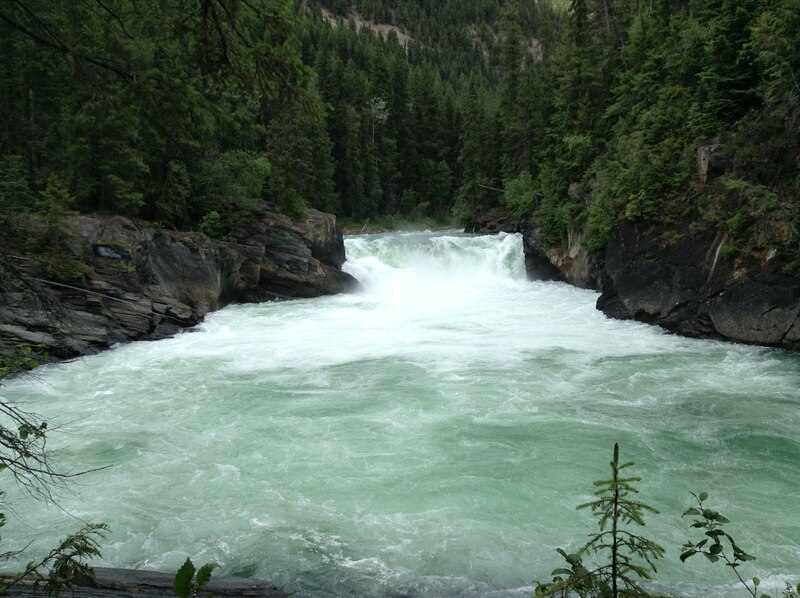 Universal positive and particular negative, as well as universal negative and particular positive are contradictory. They can't both be true and can't both be false at the same time. Universal positive and Universal negative propositions are contraries. They can't both be true, but can both be false at the same time. Particular positive and Particular negative propositions are subcontraries. They can't both be false, but can both be true at the same time. Implied propositions (particular positive and particular negative) are true, when their implying propositions (universal positive and universal negative) are true. Universal propositions (positive and negative respectively) are false, when their particular propositions (positive and negative respectively) are false. In converse propositions, subjects (e.g. Greeks) and predicates (e.g. men) can be switched without altering the proposition's truth. A complement of a subject or predicate is everything that it is not. E.g. "all that is not a man" and "all that is not a Greek". In contrapositive propositions ("all Greeks are men" and "some Greeks are not men"), if the subjects' and predicates' complements are switched, the proposition retains its truth. Discussions of the nature of time, and of various issues related to time, have always featured prominently in philosophy, but they have been especially important since the beginning of the 20th Century. This article contains a brief overview of some of the main topics in the philosophy of time — Fatalism; Reductionism and Platonism with respect to time; the topology of time; McTaggart's arguments; The A Theory and The B Theory; Presentism, Eternalism, and The Growing Universe Theory; time travel; and the 3D/4D controversy — together with some suggestions for further reading on each topic, and a bibliography. Time Markosian, Ned, "Time", The Stanford Encyclopedia of Philosophy (Spring 2014 Edition), Edward N. Zalta (ed. ), URL = . If we believe time to be in relation to space-time, then the parameters of our thinking have a distinction about how we look at time? So you see, one is being selective about the parameters they give them self with which to regard time. If we are part and parcel, then what said that any idea of continuity can express itself. One would have to believe there is a perfect symmetry in existence that is expressed as an asymmetric example of such perfection, and maybe defined as the matters? All bold added for emphasis by me. So, we may come to believe something about yourself that was not quite evident before until we acquiescent to the question regarding the nature of time as we have come to know them. If you come to believe there are limits in terms of the reductionist efforts regarding measure, so as to be limited in our perceptions, then what lies beyond, that what we may measure? Do you know how to measure a thought? How would you perceive Time Dilation. How would you then perceive Time Travel. How would you perceive time variable measure? 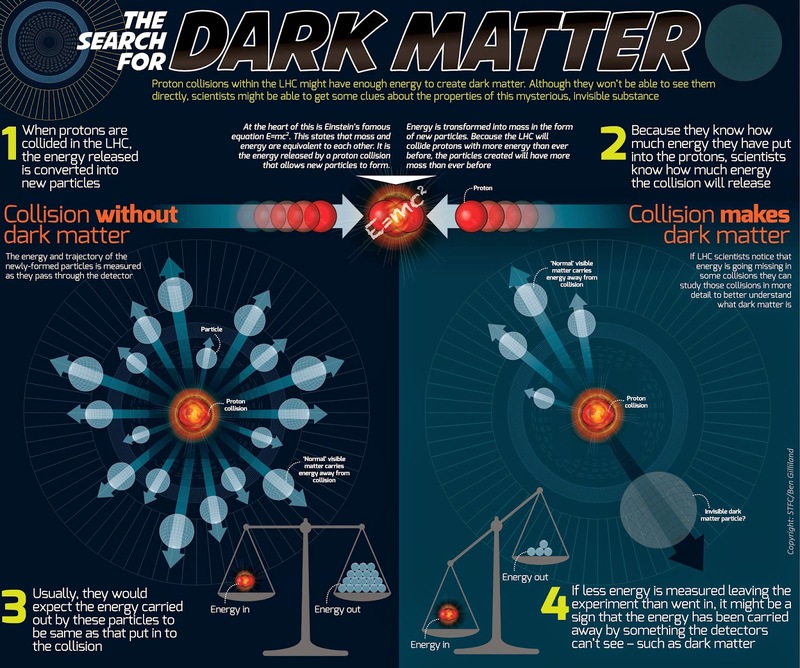 Given the constraints of such a measure, we have come "to believe" something in science. A priori knowledge is a way of gaining knowledge without the need of experience. In Bruce Russell's article "A Priori Justification and Knowledge" he says that it is "knowledge based on a priori justification," (1) which relies on intuition and the nature of these intuitions. 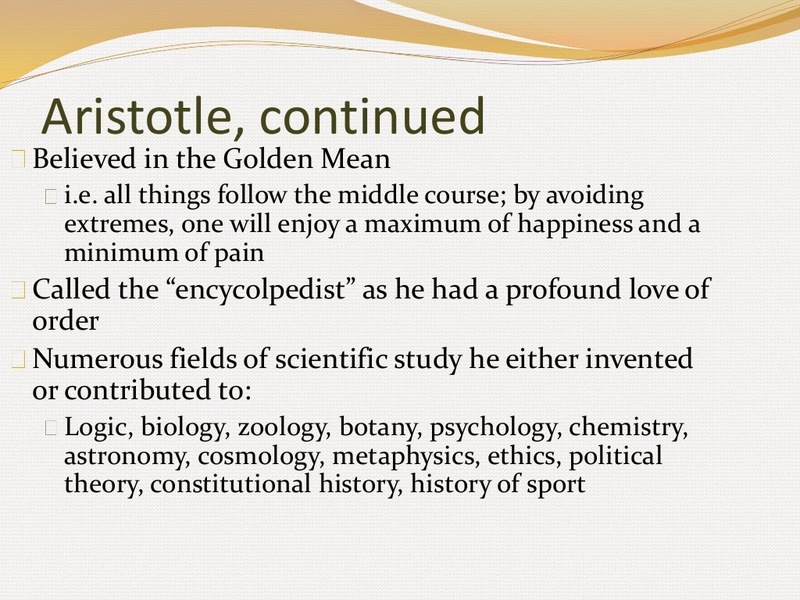 A priori knowledge is often contrasted with posteriori knowledge, which is knowledge gained by experience. A way to look at the difference between the two is through an example. Bruce Russell give two proposition in which the reader decides which one he believes more. Option A: All crows are birds. Option B: All crows are black. If you believe option A, then you are a priori justified in believing it because you don't have to see a crow to know it's a bird. If you believe in option B, then you are posteriori justified to believe it because you have seen many crows therefore knowing they are black. He goes on to say that it doesn't matter if the statement is true or not, only that if you believe in one or the other that matters. Empiricism is a theory which states that knowledge comes only or primarily from sensory experience. 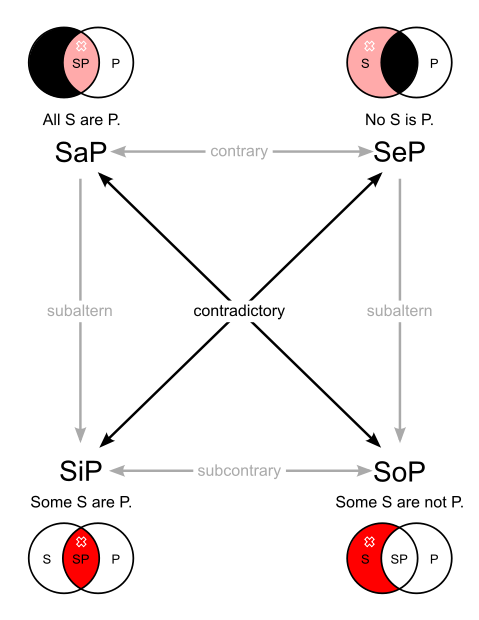 One of several views of epistemology, the study of human knowledge, along with rationalism and skepticism, empiricism emphasizes the role of experience and evidence, especially sensory experience, in the formation of ideas, over the notion of innate ideas or traditions; empiricists may argue however that traditions (or customs) arise due to relations of previous sense experiences. Empiricism, often used by natural scientists, says that "knowledge is based on experience" and that "knowledge is tentative and probabilistic, subject to continued revision and falsification." One of the epistemological tenets is that sensory experience creates knowledge. 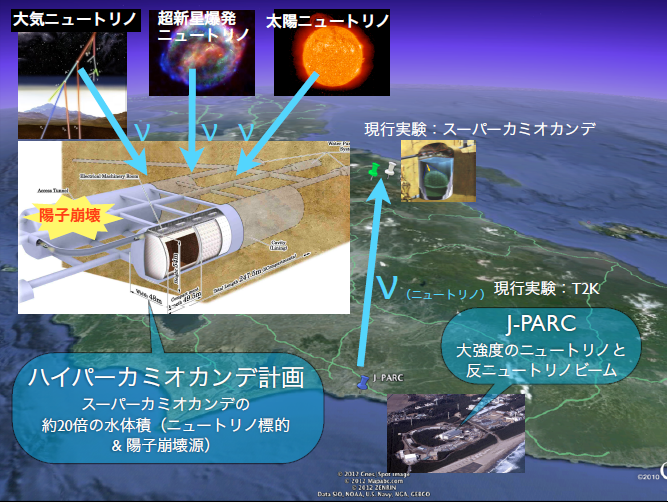 The scientific method, including experiments and validated measurement tools, guides empirical research. ¬ negation (NOT) The tilde ( ˜ ) is also often used. ∧ conjunction (AND) The ampersand ( & ) or dot ( · ) are also often used. ∨ disjunction (OR) This is the inclusive disjunction, equivalent to and/or in English. is true, equivalent to either…or. Sometimes ⊻ is used. ↓ joint denial (NOR) Means “neither/nor”. reserves that symbol for equivalence. ∀ universal quantifier Means “for all”, so ∀xPx means that Px is true for every x.
means α implies β and β implies α.
from α we can prove that β.
formula. Sometimes “F” is used. [ ] are sometimes used to clarify groupings. (or an element) of set Γ.
set containing all members of both. ∁ absolute complement ∁(S) is the set of all things that are not in the set S.
Sometimes written as C(S), S or SC. - relative complement T - S is the set of all elements in T that are not also in S.
Sometimes written as T \ S.
∅ empty set The set containing no elements. where the symbol is unavailable. <> where the symbol is unavailable. The use of variables in logic varies depending on the system and the author of the logic being presented. However, some common uses have emerged. For the sake of clarity, this site will use the system defined below. A, B, C … Z propositions Uppercase Roman letters signify individual propositions. For example, P may symbolize the proposition “Pat is ridiculous”. P and Q are traditionally used in most examples. α, β, γ … ω formulae Lowercase Greek letters signify formulae, which may be themselves a proposition (P), a formula (P ∧ Q) or several connected formulae (φ ∧ ρ). x, y, z variables Lowercase Roman letters towards the end of the alphabet are used to signify variables. In logical systems, these are usually coupled with a quantifier, ∀ or ∃, in order to signify some or all of some unspecified subject or object. By convention, these begin with x, but any other letter may be used if needed, so long as they are defined as a variable by a quantifier. a, b, c, … z constants Lowercase Roman letters, when not assigned by a quantifier, signifiy a constant, usually a proper noun. For instance, the letter “j” may be used to signify “Jerry”. Constants are given a meaning before they are used in logical expressions. Ax, Bx … Zx predicate symbols Uppercase Roman letters appear again to indicate predicate relationships between variables and/or constants, coupled with one or more variable places which may be filled by variables or constants. For instance, we may definite the relation “x is green” as Gx, and “x likes y” as Lxy. To differentiate them from propositions, they are often presented in italics, so while P may be a proposition, Px is a predicate relation for x. Predicate symbols are non-logical — they describe relations but have neither operational function nor truth value in themselves. Γ, Δ, … Ω possible worlds In modal logic, uppercase greek letters are also used to represent possible worlds. Alternatively, an uppercase W with a subscript numeral is sometimes used, representing worlds as W0, W1, and so on. 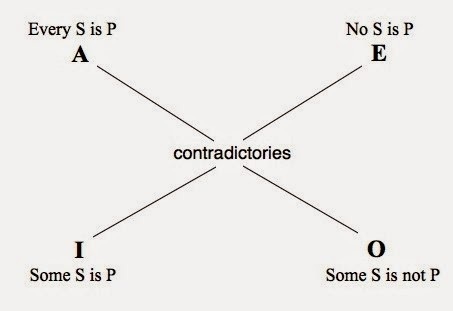 Contrary- All S are P, No S is P All s is P is contrary to the claim NO S is P.
A contrary can be true as well as false. Contraries can both be false. Contraries can't both be true. Sub contraries can't both be false. Sub contraries can both be true. The negation of the I form entails the (unnegated) E form, and vice versa. For contradictions -Two propositions are contradictory if they cannot both be true and they cannot both be false. Contradictory means there is exactly one truth value and if one proposition is true the other MUST be false. If one is false the other MUST be true. The propositions can't both be true and the propositions can't both be false. The A and O forms entail each other's negations, as do the E and I forms. The negation of the A form entails the (unnegated) O form, and vice versa; likewise for the E and I forms. A proposition is a subaltern of another if it must be true The A form entails the I form, and the E form entails the O form. "The 'I' proposition, the particular affirmative (particularis affirmativa), Latin 'quoddam S est P', usually translated as 'some S are P'" . As in the first(Proposition 1) or the "I" "To be clear the I proposition is SOME S is P. This is what is meant by a I proposition. Well you can certainly infer if an I proposition is true that an E proposition is false because they are contradictory. Unfortunately there is NOTHING else to infer with certainty. That is there will be times where the proposition will be true and different times it will be false. This is called contingent truths. That is the proposition is not true 100% of the time. It has false cases. Deductive logic tries to stay away from contingent truths." 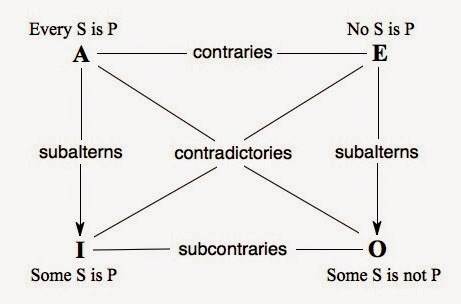 "The 'I' proposition, the particular affirmative (particularis affirmativa), Latin 'quoddam S est P', usually translated as 'some S are P'"
The particular statement of one quality is the subaltern of the universal statement of that same quality, which is the superaltern of the particular statement, because in Aristotelian semantics 'every A is B' implies 'some A is B' and 'no A is B' implies 'some A is not B'. Note that modern formal interpretations of English sentences interpret 'every A is B' as 'for any x, x is A implies x is B', which does not imply 'some x is A'. This is a matter of semantic interpretation, however, and does not mean, as is sometimes claimed, that Aristotelian logic is 'wrong'. The universal affirmative and the particular negative are contradictories. If some A is not B, not every A is B. Conversely, though this is not the case in modern semantics, it was thought that if every A is not B, some A is not B. This interpretation has caused difficulties (see below). While Aristotle's Greek does not represent the particular negative as 'some A is not B', but as 'not every A is B', someone in his commentary on the Peri hermaneias, renders the particular negative as 'quoddam A non est B', literally 'a certain A is not a B', and in all medieval writing on logic it is customary to represent the particular proposition in this way. 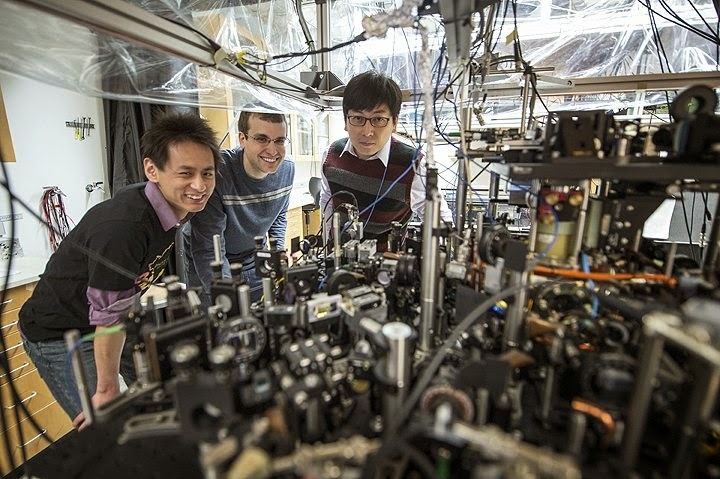 University of Chicago scientists can create an exotic, particle-like excitation called a roton in superfluids with the tabletop apparatus pictured here. Posing left to right are graduate students Li-Chung Ha and Logan Clark, and Prof. Cheng Chin.